A stunning wheel with the shift knob and brake handle to match. This unique treatment virtually yells Performance! The rest of the factory trim completes the Look. 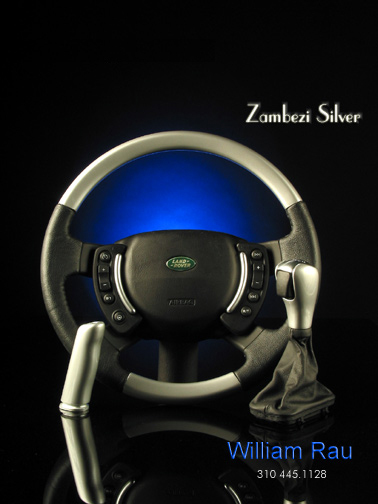 The Zambesi Edition is our most popular transformation of the factory interior. All of our work is created in our Los Angeles facility.